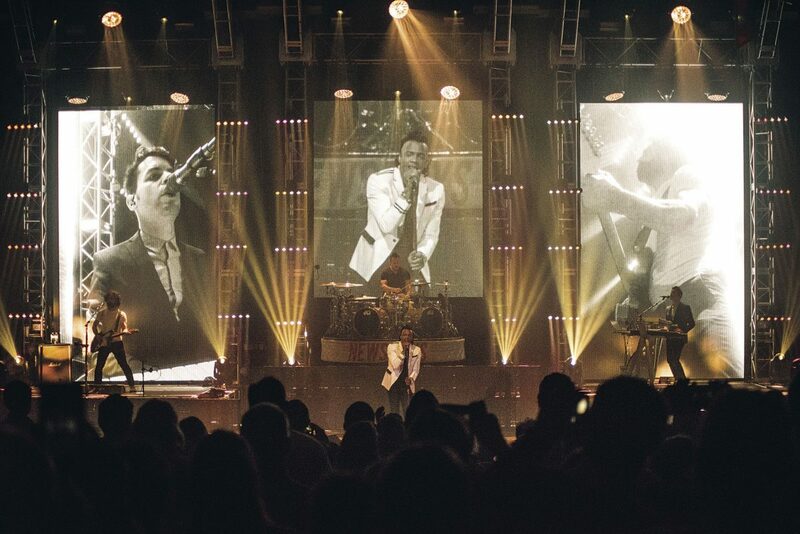 Duncan Phillips, the outrageous and theatrical drummer for Newsboys, loves the “vertical moments, the hand-raising and praising” during their shows. He also enjoys the entertainment side of the performances with the lights, the music and, of course his spinning drum kit, on which he performs 18 feet in the air. He’ll deliver plenty of both during the group’s latest tour, the Big Church Night Out, which takes a stop at State Farm Arena on Sunday. Also performing are the Sidewalk Prophets, Blanca, Derek Minor and Audio Adrenaline singer Adam Agee, among others. That’s partially for the reason of the Big Church Night Out: to attract people of all denominations to come together under one church roof and worship together. Phillips said that if the group and the shows were all about just the music, he might be in a different field of work by now. “I would’ve quit years ago,” he said. “We have the opportunity to impact lives. I can’t save anyone, I don’t have that power, but I can be used as a conduit for God’s will. We are imperfect yet he feels he can still use us. I consider that an honor and a privilege. The Newsboys may be the most popular Christian band in the world right now. They have used their mega-hit “God’s Not Dead” (2011) off the same-named album to launch two movies, which the group is featured in. They have released 17 studio albums and have six certified Gold albums. Michael Tait is the third lead singer since the group was founded, taking over for frontman Peter Furler in 2010. Tait, who left DC Talk for the spot with Newsboys, has been the lead singer for six of the group’s albums starting with “Born Again” in 2010 and most recently with “Love Riot” in 2016. Newsboys has been nominated for six Grammy Awards and have won four Dove Awards. Furler and Tait recently combined in a hit single — “The Cross Has The Final Word” — and there have been talks of a possible Newsboys reunion with Furler and former guitarist Phil Joel. Their shows are filled with dazzling lights, high energy and, of course Phillips and his moving drum set. Performers will include Newsboys, Sidewalk Prophets, 7eventh Time Down, Blanca, Derek Minor, Brock Gill and Adam Agee of Audio Adrenaline.